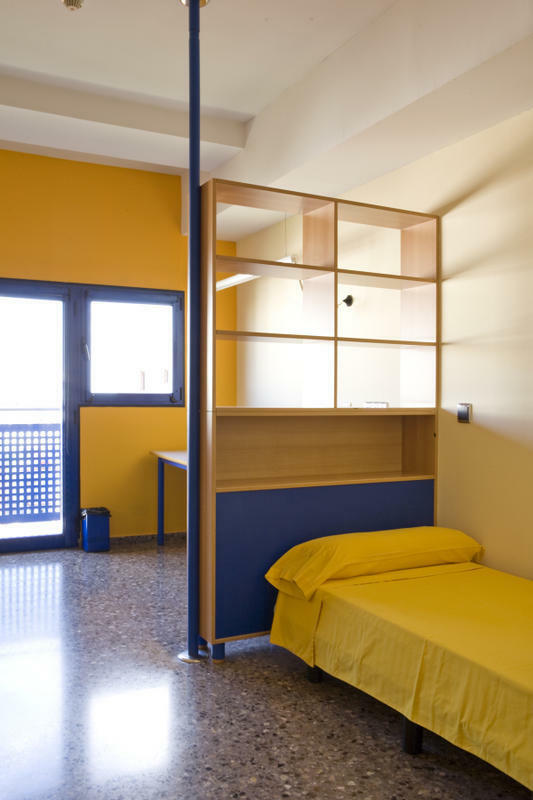 The youth hostel dormitory is located in the heart of the city university within the Campus of the Polytechnic University of Valencia, opposite the University of Valencia, next to the sports facilities of both universities. It takes about 20 minutes to get to the Plaza del Ayuntamiento in the city centre by bus/metro/tram. You can take bus lines 9, 18, 29, 30, 31, 40, 41 and 71 or metro (line 3 - red) plus tram (line 4 - blue) to get to the Campus de Vera. (See maps of bus lines and metro and tram lines).